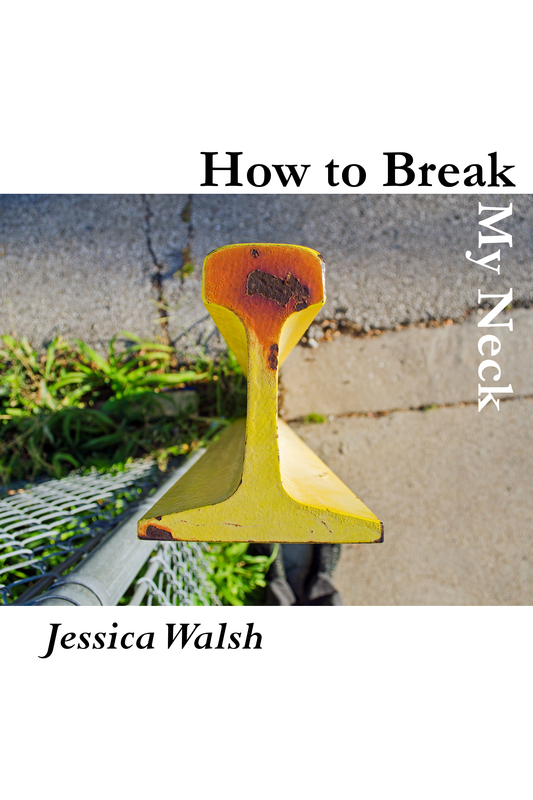 Kinetic, wary, tense with language that switches gears, contradicts itself, Jessica Walsh’s How to Break My Neck is a collection that makes us readers hold on tight. From the outset the trajectory is “doomward,” pronounced by science and effected by clueless lovers, “prison tourists,” or dystopian figures that lurk about with clipboards, spreading rumors. Nancy Reagan keeps her skirts from flapping in the breeze with drapery weights, but not much else is anchored here. Too much is at stake; too much already lost to a past that needs us “to say how lovely” and the realization that we are “failing at this human business.” We humans “think we’re due some mercy, but we’d best think” again. Fortunately, thinking itself and the poet’s wonderful wit make for a bracing, if breakneck, ride. The Sixth Extinction has found its poet, and she is us. The poems in Jessica Walsh’s How to Break My Neck are alive, visceral, and softly twitching. Each section beginning with different famous last words, these poems interrogate hard-hitting themes of purpose, mortality, and legacy with beautifully playful language. Whether discussing summer camp or a shark in a tsunami, these poems illuminate what it feels like to live, to be breakable.